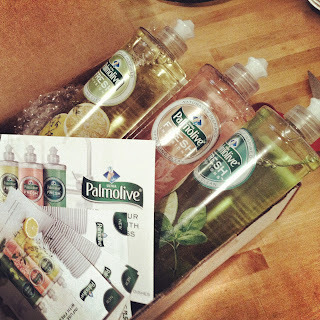 Back in January, I received my Influenster box of Palmolive Fresh Infusion dish soaps. I knew they were coming but when I opened the box, i was surprised to see large bottles of soap! I was super excited to give them a whirl. I picked the first scent based on what I assumed would be my favorite. Because the bottles were so big, i realized soon that this was going to be a bad idea. I needed to try the other scents but I was already in love with the first one. We don't have a dishwasher, so finding a soap that works well and smells good is a challenge. My biggest need in a soap is its concentration. I tried getting a cheaper soap once but found that i ran through it too fast. 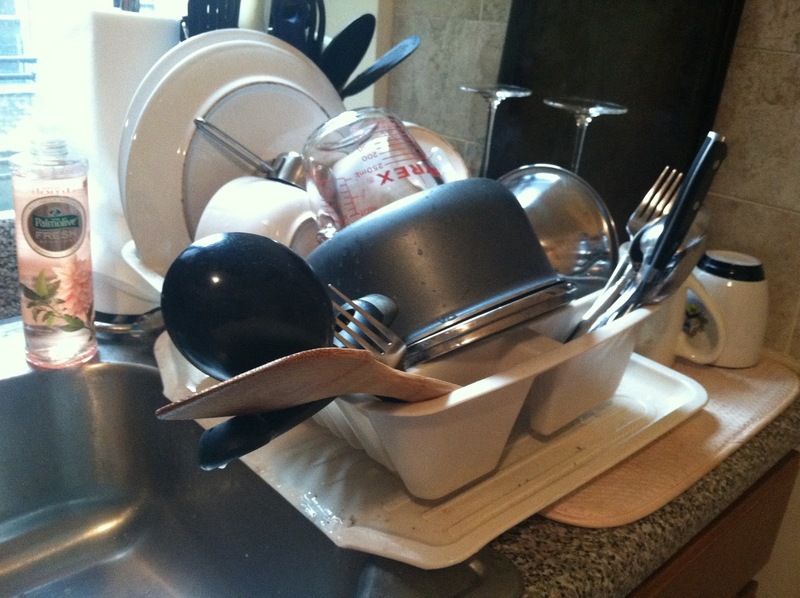 One squirt of soap in my dish scrubby washed only about 2 dishes. That won't work for me. 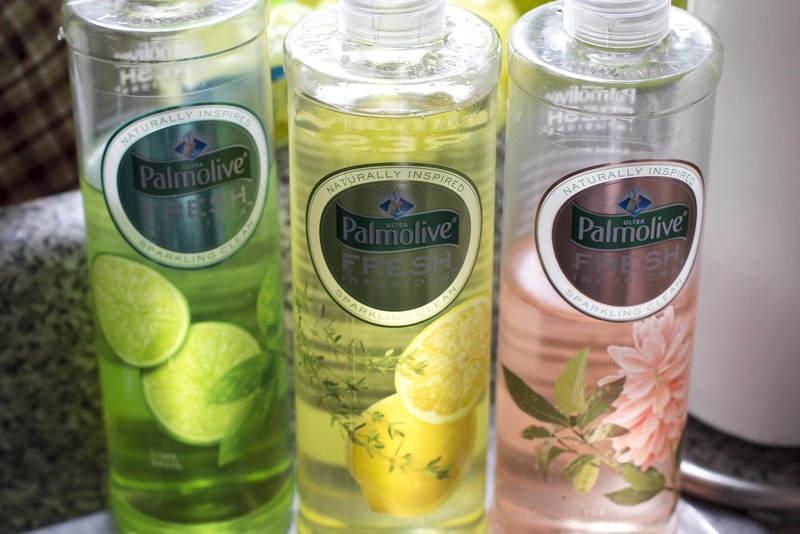 That wasn't the case for the Palmolive Fresh Infusions soap. I did the entire set seen above with one nickel to quarter sized squirt of the soap. That to me is SCORE #1 for a soap. We were given three scents. Lime Basil, Lemon Thyme, & Ginger White Tea. I am not a huge fruit scent girl. I like floral and clean scents. The issue lies in that my roommate likes the fruit flavors and not so much the others. My favorite was the Ginger White Tea, by far! In mid February I left for vacation and asked my roommate to try out the other two. She did! I wish I had remembered to take a picture of her chalkboard review. It was pretty comical. Her favorite was the Lime Basil mainly because it reminder her of her summers with Lime Popsicles! 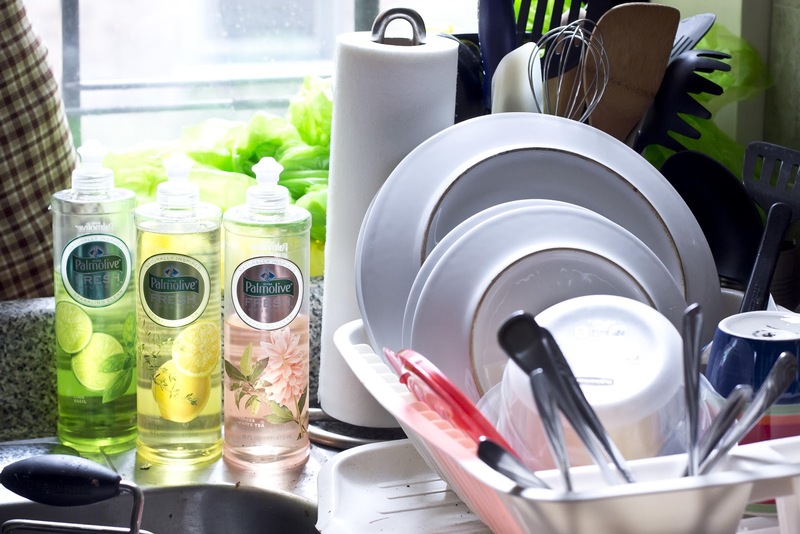 The Ginger white Tea, in her words, smelled too fancy to be a dish soap. Because the concentration is so amazing, we haven't had the need to buy more but it will definitely go on our list... at least I think so. I did try looking for it in the store the other day to see if buying it was even and option. It wasn't sold in the store near me but that's really not surprising. If I am serious about this stuff, i might have to hunt it out. You can definitely find it at Walmart, unfortunately there isn't one close to me. But if you are close to Walmart, pick one up! *Disclaimer - I did receive this product complimentary through Influenster but the comments and opionions of this product are soley my own and the opinions of those in my household.